American Idol is desperate to get back to its glory days of pumping out chart-topping artists when the show returns to ABC this year. 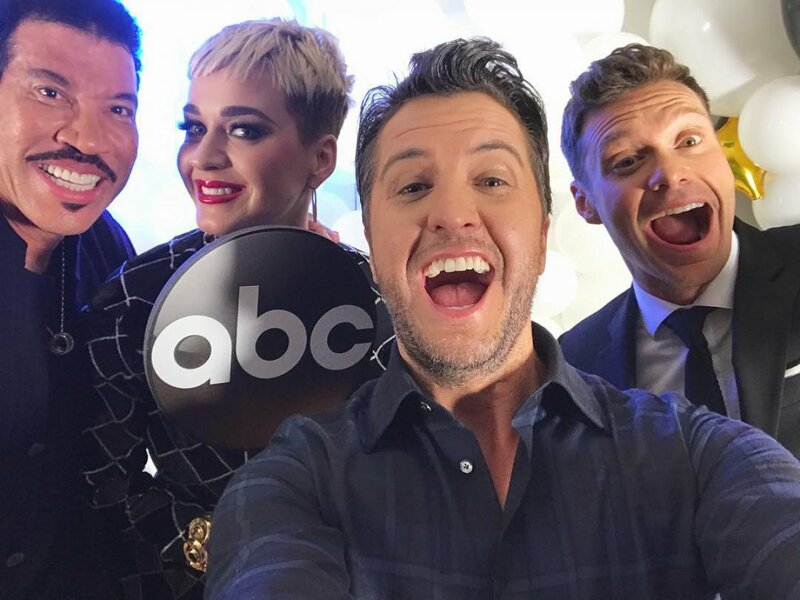 Judges Katy Perry, Luke Bryan and Lionel Richie discussed ABC's upcoming revival of American Idol at the Television Critics Association press tour in Pasadena, CA on Monday. Katy, who signed a whopping $25 million contract to judge the show, admitted to reporters her top priority next season is to find a singer who will actually be on the radio and become a household name. "Literally, we are wasting our time if we are not finding another star," Katy said, according to The Hollywood Reporter. In its early years on Fox, American Idol introduced winners to the world who ended up becoming major stars -- including Kelly Clarkson and Carrie Underwood. And a number of finalists went on to have huge careers, from Chris Daughtry to Jennifer Hudson to Adam Lambert. However, besides Season 10 winner Scotty McCreery, the former Fox reality singing competition has experienced a drought in which more recent winners haven't enjoyed much commercial success after the show. American Idol therefore found it increasingly more difficult to trump its TV competitors, such as The Voice, and the series came to an end in early 2016 before ABC opted to resurrect it. "You know, America doesn't need another star. They need, like, a real legit 'American Idol,'" Katy said. "It's a crowded place, and I take it really seriously, sometimes to my detriment." Katy's focus on finding a superstar apparently made her a brutally-honest judge. She has even been compared to Idol's original judge, Simon Cowell, who became famous for delivering very harsh criticism, often smashing contestants' dreams into pieces. But Katy considers herself to be a tad more gentle with the aspiring singers, telling reporters, "I'm very cut-and-dry and get straight to the point, but I think that is our purpose." Luke agreed the search for a real idol has made the panel work harder, according to Rolling Stone. After all, neither Luke, Katy or Lionel could reportedly even name a winner from Idol's last few seasons. "There are a few years... where you don't really remember those contestants. We want it to be right back to where American Idol is known for, building those American Idols," Luke explained at the TCA tour. "And it's each of us sitting around going, 'Is this person going to be what we want them to be?'" American Idol is set to premiere with a two-hour episode on Sunday, March 11 at 8PM ET/PT. The show, once again hosted by Ryan Seacrest, will air on Sunday and Monday nights starting March 12.